When Elvis’s recording of Good Luck Charm was released as a single in late February 1962, it seemed destined to be just another triumph in Presley’s unending reign over the record charts. The platter was Elvis’s 22nd regular single release for RCA Victor. 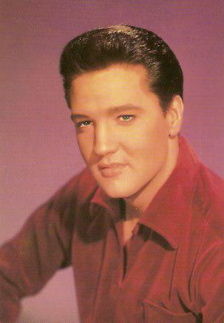 All of the previous 21, starting with Heartbreak Hotel in 1956, had placed in the top 5 on Billboard’s Top/Hot 100 chart, and 12 of them had reached #1. There was every reason to believe that Good Luck Charm would do the same, as would many more Elvis single releases to follow. History, however, now reveals that Good Luck Charm was not just another record release in Presley’s career, but rather a pivotal one. 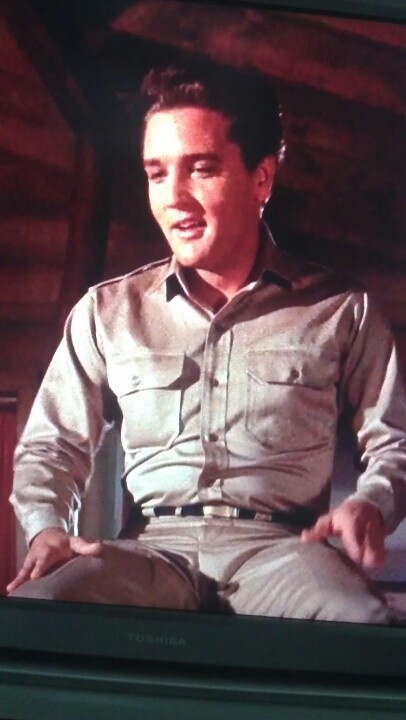 Rather than a link in his perpetual chart success, the record foreshadowed a down turn in Elvis’s recording career. 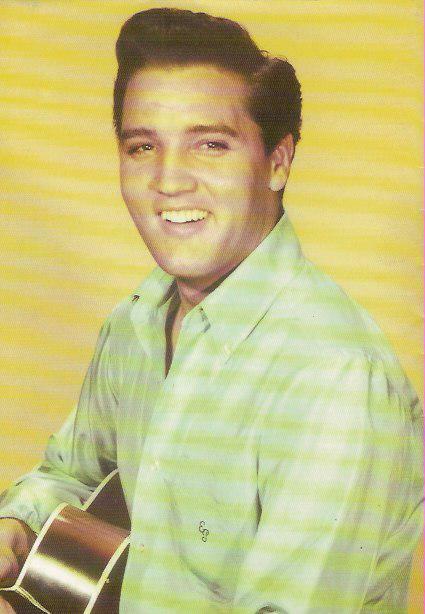 Good Luck Charm would reach #1 on the charts, but Presley would have just one more chart-topper in his career, and that wouldn’t come until over seven years later. 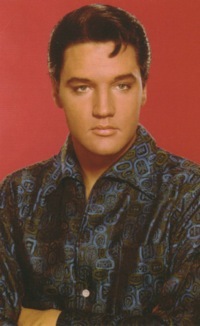 In addition, many of the composers who had provided Elvis’s hit tunes would stop writing for him after 1962. 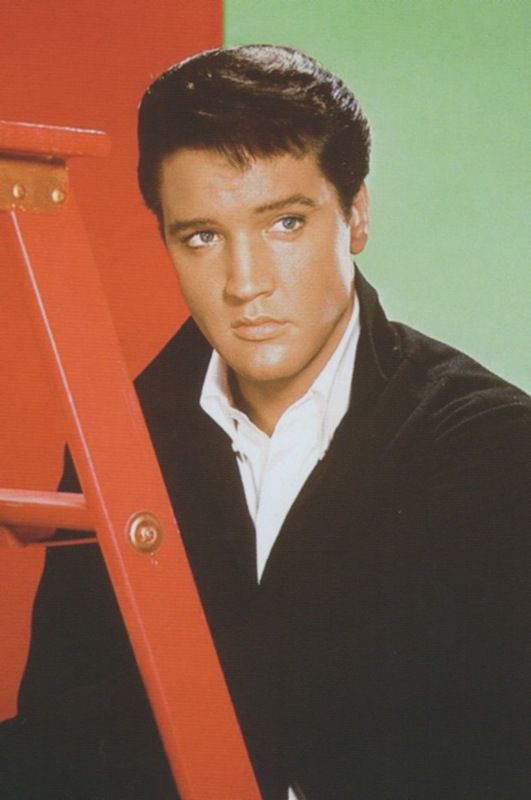 For all its success, Good Luck Charm caused a crisis in Elvis’s recording career. Good Luck Charm was written by the songwriting team of Aaron Schroeder and Wally Gold. Working with several different co-writers, Schroeder penned 16 songs for Elvis, including the hit singles A Big Hunk o’ Love, I Got Stung, Stuck on You, and It’s Now or Never. Gold collaborated with Schroeder on the latter song. However, after Good Luck Charm, neither Schroeder nor Gold would write another song for Elvis. More on the reasons for that later. 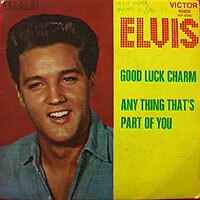 Elvis recorded Good Luck Charm on the evening of October 15, 1961, at RCA’s Studio B in Nashville. Guitarist Hank Garland, who had regularly worked Presley’s recording sessions since 1958, had suffered brain damage in a recent auto accident and was replaced for this session by Jerry Kennedy. Other musicians present were Scotty Moore on guitar, Bob Moore on bass, Floyd Cramer on piano, D. J. Fontana and Buddy Harman on drums, and Boots Randolph on sax and clarinet. The Jordanaires and Millie Kirkham supplied supporting vocals. On February 27, 1962, the new single (RCA #7992) was shipped to distributors. In its March 7 issue, Variety listed the record at the head of its “Top Singles of the Week” column. “Elvis Presley’s ‘Good Luck Charm’ has a ballad swing that fits his persuasive pulsations,” the journal noted. “It can be chalked up as a certain money-making slice.” That same week Billboard led off its “Spotlight Singles of the Week” column with the new Presley record. “‘Good Luck Charm’ is a bright, medium tempo rocker, featuring enthusiastic reading by the star and the Jordanaires,” the review announced. That same week Good Luck Charm entered Billboard’s Hot 100 at #51. Over the next four weeks it climbed successively to #14, #9, #3, and #2. Then, on April 21, 1962, Good Luck Charm took over the #1 spot, displacing Elvis’s future leading lady Shelley Fabares and her recording of Johnny Angel. 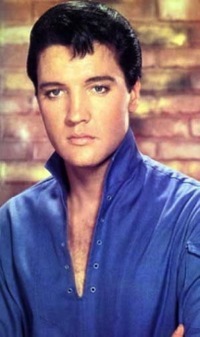 Elvis’s record spent a second week at #1, before being ousted from the top spot by The Shirelles’s Soldier Boy. After spending two weeks at #5, Good Luck Charm slid quickly down the list. It exited the Hot 100 on June 16, after spending 13 weeks on the chart, 7 of them in the top 10. 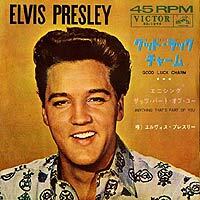 “There’s a legal hassle in the making over ownership of ‘Good Luck Charm,’ latest Elvis Presley release on the RCA Victor label. Aaron Schroeder, who wrote the song with Wally Gold, says it’s owned by his Arch Music firm, while attorney Lewis A. Dreyer says it belongs in Presley’s Gladys Music firm. According to Dreyer, cleffers who’ve written songs for Presley in the past (including Schroeder) have signed contracts that any song they submit, if recorded by Presley, belongs to the singer’s publishing company. The bottom line was that Schroeder, who in the past had complied with Colonel Parker’s requirement that composers sign over the publishing rights to their songs recorded by Presley to the singer’s publishing company, was no longer willing to do so. Schroeder, who composed hundreds of songs, many recorded by other top artists— including Roy Orbison, Duane Eddy, Sammy Davis Jr., Nat King Cole, Perry Como, and Pat Boone—decided he was going to retain the publishing rights to Good Luck Charm. The dispute over Good Luck Charm reached the courts in May 1962. By that time, Presley’s Gladys Music had filed a second infringement suit against Schroeder and Gold and Arch Music over an answer record to Good Luck Charm, titled, Don’t Want to Be Another Good Luck Charm, released by Judy and Jo. Schroeder’s Arch Music had licensed the answer song’s recordings rights to Capitol Records, against which Gladys Music also filed a lawsuit. 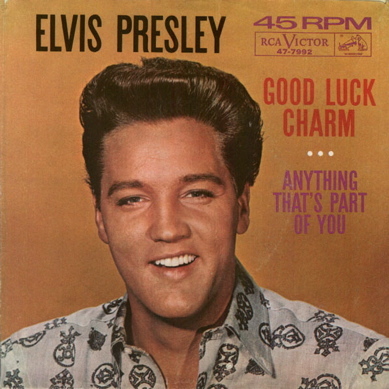 Regardless of which side won in court, the dispute over the publishing rights to Good Luck Charm resulted in Aaron Schroeder never again writing a song for Elvis Presley to record. 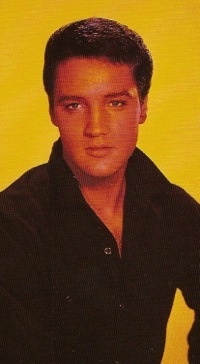 Soon thereafter other composers, including Leiber and Stoller, Pomus and Shuman, and Otis Blackwell, all past providers of hit tunes for Elvis, either stopped or only infrequently provided songs to Presley.